If a city could be synonymous with love and romance, it would be Venice (along with Paris, of course). Venice has been built on a landmass of more than 100 islands in northern Italy and is a paradisiacal land for families as well as couples traveling! A gondola ride in a canal in Venice with your loved one is the ultimate check on your bucket list that you have to cross off! There are a few things that you have to do in Venice during your time there such as visiting St. Mark’s Square, looking around at people in Piazza San Marco and aimlessly strolling alongside canals. There is something about the air of London that makes us want to fall in love (over and over again). With its vast size and countless number of cities, you will never tire out of finding new places to visit here. Make sure you visit the London Eye, Big Ben, Houses of Parliament, Westminister’s Abbey and Nelson’s Column during your time in this great city! Apart from these, there are many parks, museums and eateries in London that will always guarantee a joyful experience! Confused about finding Brussels here in this list? Well, Brussels is an undercover city that is not given as much attention as a few of its European neighbors! But, let us tell you that Brussels is the right mix of quirky and regal and offers a wholesome experience to all its tourists. Make sure you gorge on a bubble chocolate waffle while being amazed at the Manneken Pis, leisurely walk around the Mini-Europe Park, go on a beer tour and explore the stunningness of the Grand Palace. 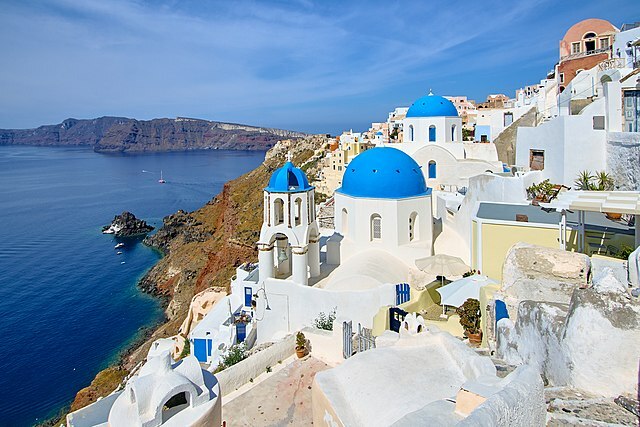 Do we really need to say anything to convince you to head to Santorini on your next vacation with your partner? Greece has all the elements that a couple needs to make a vacation memorable. Make sure you carry a camera along to get pictures in the most Instagrammable locations of the world! Moreover. Many luxury hotels in Santorini offer packages tailormade for couples and there are many tourist attractions here such as the black volcanic beaches of Perissa and Kamari and the Red Beach near Akrotiri. Pack your bags and head to either of these European destinations for an absolutely exciting time!